Delicious unique flavours guaranteed to wow your guests. 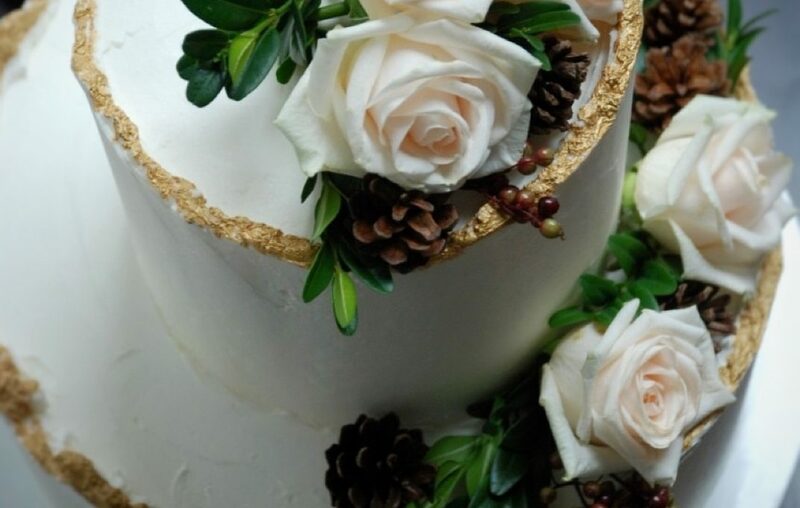 We like to create incredible (and some unusual) flavours using various fruits, vegetables and natural ingredients to enhance the flavour and texture of the cake. Don’t worry, our cakes don’t taste of vegetables! They only enhance the texture and colour of the sponge and add extra yummy moistness! The quality and taste of the cake is paramount, all of our recipes are made from scratch and have been perfected to ensure we only produce beautiful tasting moist cake. We are as passionate about the taste and flavours of our cakes as we are the finished look. We always use fresh ingredients and organic where possible. No cheap substitutes or nasty cooking chocolate! Only Free range eggs, organic vanilla extract, high quality cocoa and proper Belgian chocolate. Some of the vegetables used in our cakes are even organically grown right here on our farm. Lemon, Thyme & Courgette. A beautiful light moist lemon sponge infused with fresh Thyme and filled with layers of fresh lemon buttercream from organic lemons. Chocolate Courgette. Grated courgette in this chocolate cake makes it a very moist light chocolate cake, with layers of vanilla bean buttercream, this is no regular chocolate cake, a firm favourite. Spinach Vanilla & Blueberry. Yes this this really is a spinach cake! In this cake the mild spinach flavour fades beneath the vanilla, leaving behind its moist green goodness & fabulous natural colour. Layered with a beautiful fresh blueberry buttercream filling. Gingerbread. Crystallized stem ginger and ground spices make this a fantastic flavourful sponge layered with a cream cheese buttercream. Beetroot Red Velvet. A lovely moist sponge containing organic beetroot which naturally gives the sponge its distinctive colour. No food coloring is used in this cake. Paired with vanilla bean buttercream. Apple Salted Caramel. This delicious cake is infused with applesauce resulting in a lovely mild apple flavour sponge, very moist & layered with salted caramel buttercream. 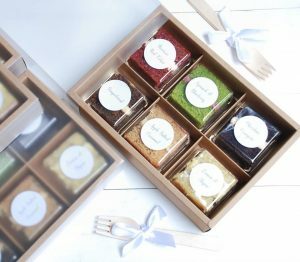 To enquire about purchasing one of our very popular sample boxes, contact us here. Buttery shortbread biscuits made with real Irish butter, topped with modeling chocolate and personalised with names or your choice of text. Can be individually packaged, perfect for favors. Allergen Information: All of our cakes contain wheat, eggs and dairy unless stated otherwise. Some contain nuts. All of our products are made in a kitchen which uses nuts and dairy. 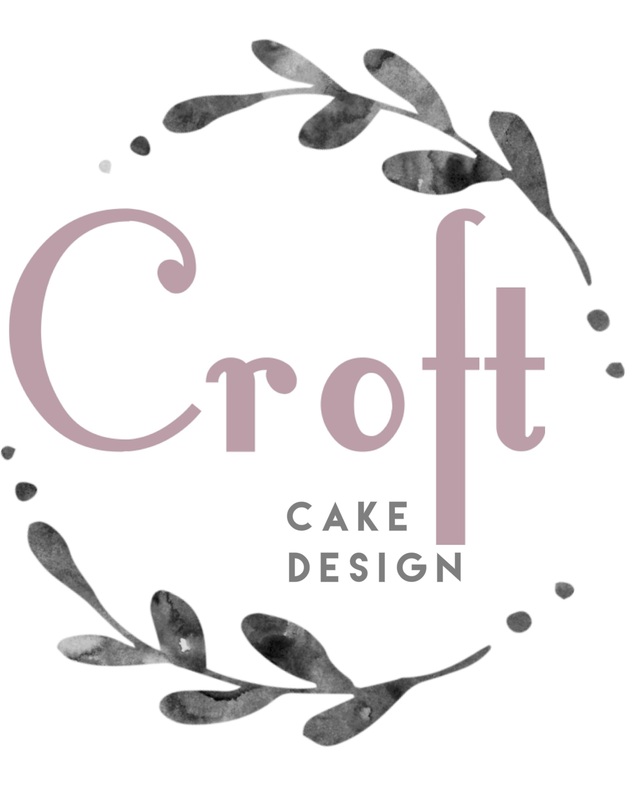 Gluten free cakes, lactose free cakes or vegan cakes are available upon request and are suitable for individuals who choose not to include gluten or dairy in their diets. If purchasing for an individual with an allergy, please bear in mind that these cakes are baked in a kitchen where gluten and dairy are present – Therefore we cannot guarantee that they are 100% allergen free.